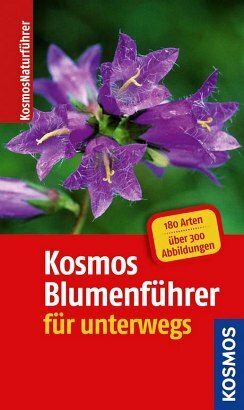 Product information "Kosmos-Blumenführer für unterwegs"
Discovering nature with open eyes and exploring the world of animals and plants on a leisurely walk – even right by the side of the road there is lots to discover. In order to quickly find your way through the great diversity of species, KOSMOS Practical Field Guides provide you with a perfect overview. Their popular color-coded system of organizing species by habitat has proven very practical. This makes identification really easy even for beginners and guarantees a quick feeling of success.